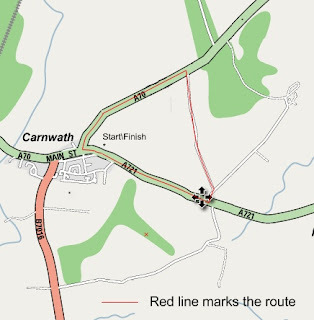 If you have a hole in one (or perhaps both) of your socks, you could always try to win a replacement pair by competing in the annual Carnwath Red Hose Race, due to take place on June 22nd. Instigated by James IV as a means to find the fastest runner capabale of bringing news of invasion, this year sees its 500th anniversary. To enter, you need to be over 16 and resident in South Lanarkshire, and in desperate need of a new pair of red hose! The three mile long race is limited to just 150 runners this year. For more information, visit http://www.redhoserace.co.uk/index.html . 7.30pm Thurs 8th May, Supper Room, Town Hall, Kirkwall. 7.30pm Fri 16th May, Uig Community Centre. Free entry. Stands hosted by Borders FHS; Dumfries and Galloway FHS; Lothian FHS; Hawick Heritage Hub; Robert Smails Printing Works; Scottish Genealogical Society; and Sam Godley, professional genealogist. 7.30pm Mon 19th May, Lecture Theatre No. 1, Boyd Orr Building, Glasgow University, University Avenue, Hillhead, Glasgow. Annual General Meeting, and speaker Pat David. Sat 24 May 10.30am at Community Hall, Tarbert, Harris. In a surprise move, the General Register Office for England and Wales has confirmed that it will no longer be releasing index information for births, marriages and deaths from beyond 2006 to commercial family history websites such as Findmypast and Ancestry, on the basis that they have no legal requirement to do so. Indexes will still still be made available on fiche at local registry offices and libraries throughout England and Wales, and at the National Archives. This is clearly a blow for many family historians in Scotland with ancestors down south. The GRO is attempting to create its own online index system called MAGPIE, but this is still some time away in coming. The next issue of YFT has just arrived on my desk and contains all sorts of goodies! On the free CD is a copy of Charles Fox-Davies' work The Complete Guide to Heraldry - if you are thinking of doing the Postgraduate Diploma in Genealogical Studies at the University of Strathclyde, it's well worth picking up, as it is on the reading list! The magazine itself has a census guide, with contributions from John Grenham, Andrew Chapman and Scotland's Chris Duncan; fascinating articles on the tailoring industry, adoption records and the anniversary of the Penny Black stamp; and yours truly continues the series of getting started articles by an in depth look at statutory death certificates in the UK and Ireland. In the magazine's news section, the debate on Irish records pricing which I explored in issue 62 heats up, this time with comments of regret from Ireland's Fine Gael spokeswoman for arts, sports and tourism on the new Irish Family History Federation pay per view system. A day after the IFHF website was launched, Olivia Mitchell is reported to have commented "It was regrettable that the new genealogy service was designed to be a commercial one... It was always envisaged that this kind of public information should be freely available to the public". Indeed. YFT 64 is on sale at your nearest newsagent! Trial papers from the Old Bailey have been digitised and made available on a new website by researchers from the Open University, and the Universities of Hertfordshire and Sheffield. The site hosts the records of Old Bailey Session Papers from 1674 to 1913, consisting of some 200,000 different cases. At the time of writing, the URL at www.oldbaileyonline.org was slow to access and terribly unstable, but it is well worth a look! From today, the price of entry for a full day's research in the General Register Office for Scotland is reduced in price from £17 to £10. It should be noted that if you wish to do half a day in the building, the price will still remain at £10 as before. The reduced entry cost is now in effect as part of the new pricing structure for the forthcoming ScotlandsPeople Centre, which was intended to open in April, but which has since suffered some delays. I recently announced on this site that the opening had been pushed back to June, though this may still be optimistic. When the centre is finally open, there will be additional pricing changes - for example, free two hour sessions, as well as an assisted search scheme at £20 per hour. This book is now available on CD in PDF format (requiring Adobe Reader) for the price of £12.99. "The National Archives of Scotland's education website, Scottish Archives for Schools, is pleased to announce the launch of its latest resource, 'A short life in the sky, 1915-16', based on the letters of a young WW1 Scottish pilot. "When war broke out in 1914, aeroplanes were still a relatively new invention. John Douglas Hume, known as Douglas by his family and friends, left his home in Fife at the age of 18 to join the Royal Naval Air Service. He trained in England and saw action in Mesopotamia (present-day Iraq) and Turkey. "He was a prolific letter writer. His correspondence displays a range of style and feeling that cannot fail to stir the interest and emotions of the reader. Thanks to his family who kept his letters and photographs, we can experience his life as a pilot from May 1915 until his untimely death in December 1916. The records are part of the Hume papers, which are held at the National Archives of Scotland, NAS ref. GD486." This will be my first time at the event, and I will be helping out on the Family History Quests stall at stand 326 for part of Friday and Saturday, so for all your archive book and genealogical data CDs, please do come along and have a look - and if you read this blog, do say hi! For the new and updated Family History Quests catalogue, please visit www.familyhistoryquest.co.uk. Sorry folks, I missed this when it was announced! The 2011 census date for the UK has been set for Sunday, March 27th, the earliest date since the decennial census was first recorded in 1801. This date has been chosen in order that the census can be taken before Easter and before campaigning commences for the 2011 Scottish Parliamentary Elections. The new £80,000 Lochaber Archive Centre (Ionad Tasglann Loch Abar) was formally opened today by the Lord Lieutenant, Donald Cameron of Lochiel. The centre holds all the family papers of the Camerons of Lochiel and Lochailort, as well as archives of the parishes within Lochaber. The result of the search for two children with ancestors who fought at the Battle of Culloden has finally been announced by the National Trust for Scotland as Scott Hay, 11, from Kincraig, and Philip Nicol, six, of Inverness. A couple of days ago the GROS announced news of price reductions for those wishing to carry out research in New Register House, effective from April 28th 2008. The reason for this is that the new ScotlandsPeople Centre was originally hoping to open on this date, with the new pricing structure agreed by statute to commence from then. A series of last minute complications has unfortunately forced the opening to be pushed back, and it is now intended that the opening will take place in June, though a final date has still yet to be confirmed. In this month's Practical Family History, now on sale, yours truly has written an article giving an insight into what can be expected from the new centre when it opens in June. Accompanied by Deputy Registrar for Scotland, Paul Parr, and Head of ScotlandsPeople, Dee Williams, I was given an exclusive insight into the new centre in February of this year, where the pair informed me of the many wonderful things soon to become available, including amongst other things, access to digitised images from the Scottish Public Register of Arms, wills, and many other exciting new offerings, all accessible from the same terminal. There is also news in the article of further developments down the road for the centre, including forthcoming access to the digitised death records held at the GROS, and plans to take the brand further afield across Scotland. Practical Family History is available for sale now at all very friendly newsagents...! The 'Traceline' service, which for some years has been prominent on the G.R.O. homepage for England and Wales, has been withdrawn from public use as of April 1. Traceline will still accept enquiries from charities such as the Salvation Army. The decision to remove it from the GRO website follows the transfer of the service from the Office for National Statistics to the Information Centre for Health and Social Care, but no indication has been given to explain the decision. (With thanks to Elicia at the YFT forum). As of April 28th 2008, the prices for access to the General Register Office for Scotland will be revised, and the good news is that it is in the customer's favour! As of this date, a full day's access will be reduced to £10, from the current £17. This is part of the new pricing structure agreed by statute in preparation for the new ScotlandsPeople family history centre, which was originally intended to open on this date, but which has been delayed by a short while. When ScotlandsPeople does open for business, there will also be a free two hour search available, though it is unclear just now whether this will apply from April 28th or from the opening of the centre. For more on the new pricing structure, visit http://www.gro-scotland.gov.uk/files1/family-records/new-charges.pdf . Please note that the reduction in price for the access pass will be reflected in the charges made by us at Scotland's Greatest Story (www.scotlandsgreateststory.co.uk) from this date, making it even cheaper to have your family history researched! An exclusive advance look at the inside of the new ScotlandsPeople centre will appear in the next issue of Practical Family History, with yours truly having been given a guided tour of the new set up by Dee Williams, head of the centre, and Paul Parr, Deputy Registrar General for Scotland. As well as the new pricing structure, there will be exclusive details of what can be expected from the new centre. The Findmypast.com website has completed its project to scan and index the complete set of outbound passenger lists for long-distance voyages from all British ports between 1890 and 1960. Working in association with The National Archives of the United Kingdom, the project took a team of 125 people over a year to scan in the 1.1 million full colour individual pages - some handwritten, some typed. In total 24 million passengers are recorded travelling between these dates. Accompanying some of the 1960 lists are scans of the handwritten departure cards completed by each passenger. These show the full date of birth of the passenger as well as their UK address and occupation, with the names and dates of birth of any children travelling with them on the reverse. This month's Your Family Tree magazine is now on sale, and for Scots there is the welcome freebie on the accompanying CD, in the form of a copy of Black's Guide to Scotland 1883, a late 19th Century tourist guide for the country. Also in the magazine are articles on criminal ancestors, a region guide for Renfrewshire, the story of straw workers, a case study on Britain's first female registrar, and memories of VE Day. Yours truly has also contributed a getting started guide to statutory marriage certificates in Britain and Ireland. The Ulster Historical Foundation has made its birth, marriage and death records available at a new website, as part of its link to the Irish Family History Foundation. The new site can be accessed at http://antrimdown.brsgenealogy.com/ and is similarly constructed to the other county sites represented through the IFHF. A key development is the drop in price, but there appears to be a discrepancy in the pricing between the two sites which give access to the society's records. On the original site at http://www.ancestryireland.com/quis.php the records have come down in price to £4.50 per record, or £3 if you are a member of the UHF; the records can be viewed for 48 hours after purchase. However, on the new site above, the price is cheaper, at 5 Euros per look up, which is currently just under £4 Sterling, and there would appear to be more records available. So if you need to use the records, head for this site instead! "The Foundation does not receive public funding to support its work, and exists through the sale of its goods, and through donations. While keeping costs to a minimum it has to set charges to recoup the cost of providing services to the public. As costs continue to rise for all businesses and charities, certain fees have had to be increased to take account of these increases." The price drop was not alluded to by Mr. Mullan, and so it would seem therefore that this price drop is a very recent development, which is to be welcomed.